While this plant is listed in several states as noxious, it has a good looking bloom. It hardily grows under drought conditions and with our recent showers, it is flourishing. I often get down low with it and it is a favorite of mine to photograph. I found these two blooms growing in an unusual back to back mirror like placement. The Zuni used it for treating toothaches and snakebites. 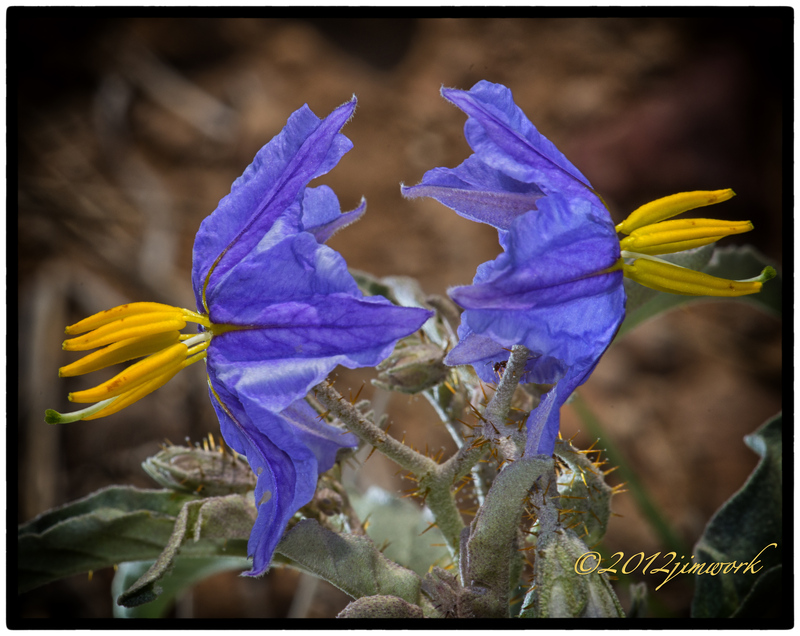 The Navajo treated respiratory symptoms with the plant, including throat and nose problems. The Pima also used the crushed fruits a treatment for colds. Mexican folk healers used the plant, calling it buena mujer, to treat fits of sneezing. The plant contains enough enzymes to be used as a rennet, or digestive agent in milk. The Navajo, the Pima, Cochiti, all used the fruit of the plant for this purpose. And finally, on a lighter note, the fruits were used as adornment. Keresan women made the fruits into necklaces. They will not treat you kindly if you use your bare hands to pick a flower as the stems are covered with a bountiful quantity of bristles.